If you didn’t know by now, today is International TableTop Day, an international holiday created by TableTop host and geek ambassador Wil Wheaton. Folks are encouraged to share a game with friends, family and maybe a complete stranger or two along the way, in an effort to promote the hobby and the social interaction that seems to be missing in this digital world. We’re sure most of you are busy playing and not reading blog posts today, but we thought we’d ask you what you’re playing today? Also, we thought it would be helpful to point out that: in order to help celebrate the day, Amazon has put some great classics on sale at huge discounts. You can find them all by clicking this link, right here! Thanks for reading and enjoy your TableTop Day! You can subscribe to TOG by filling in your email over on the right, we’d also love to connect with you on Facebook, Twitter, Instagram, YouTube and of course there’s more TOG where this came from on our Podcast! We had a chock-full Kickstarter Weekly post. Then we got word that the worker-placement game Tzolk’in is getting an expansion. Then Jeremiah took us on a trip to his adolescence, and the joys and pains of Doctor Who. Then Firestone talked about his love of expansions, and whined about bad expansions. Then we brought you a review of the game Coup, which is up on Kickstarter, cheap, and lots of fun! And finally, we shared the latest episode of TableTop, where they play The Resistance. Thanks for reading, and we’ll see you next week! 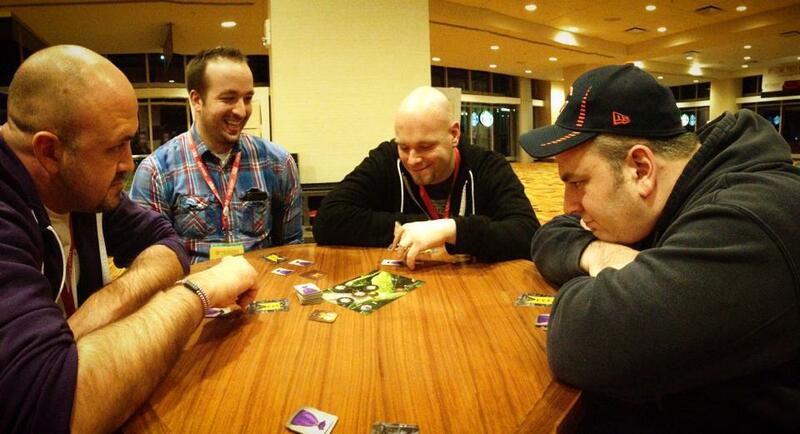 A number of months ago we told you about TableTop, Wil Wheaton’s Internet board game show. Well, the latest show has them playing my favorite game: The Resistance. If you’ve wondered what is so great about this game, this is a great chance to watch a group of people actually playing. You’ll see paranoia, accusations, mistakes, subterfuge, and all of the others things that make me love this game so much—and they aren’t even particularly good at it! 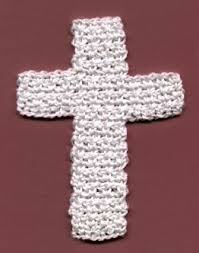 Be aware: They do occasionally curse. Some of the “big ones” are bleeped out. Others aren’t. So Saturday was International TableTop Day, and as I sat there in the 4th hour of my game of Exodus: Proxima Centauri, it hit me: This is boring. Do this. Draw that. Roll a crapload of dice. ROLL ANOTHER 1, WHEN I REALLY NEEDED ANYTHING OTHER THAN A 1. Attack. Be attacked. Lose by 2 VPs. What’s the point? So I went home, talked to my wife about it, and decided I’m going to quit boardgaming. Forever. I’m selling my collection—pennies on the dollar, so make me an offer. I also talked to Jeremiah about it, and he’s been thinking the same thing. It’s all just so much…fluff. So we’re starting a new blog. We hope you’ll come check us out, and thanks for reading our inane posts over the last 9 months. We truly appreciate it. Today is International TableTop Day! 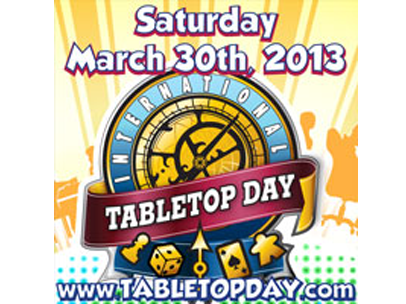 The popular Wil Weaton-hosted YouTube board game show, TableTop, has declared today TableTop Day. That’s just an excuse to play games all day, but there are some corporate sponsors for the day, who have partnered with some game stores for giveaways and promos. 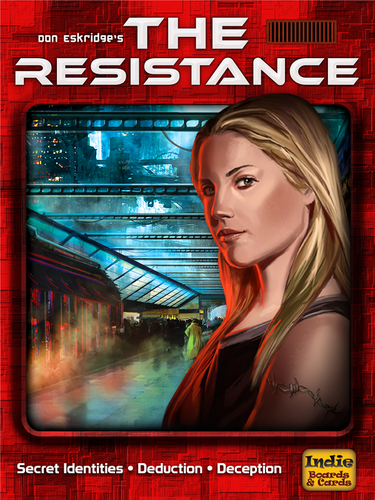 For instance, some stores will be getting promo cards for The Resistance that have the science fiction spy images along with the words Merlin and Assassin on them, so you can easily add those roles to the original game. 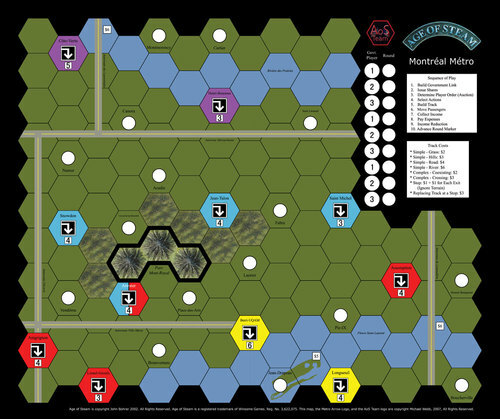 I’ll (Firestone) be joining in on the fun with some guys from my game group. You should, too. You can go here to find out if your Friendly Local game Store is hosting an event. And then go down for a few hours and support this day of gaming! Or just play some games at home with your family! Well, we’re back from Indiana, and trying to put out fires and get caught up. It was so busy that we only had time to play a couple of games of The Resistance: Avalon—at 1 in the morning at the hotel Starbucks. But at least we got to play!